Rav Dror Moshe Cassouto was born in Jerusalem, and grew up in a Jewish secular family. He studied for a few years in a high school for the arts, traveled around the world, and then drafted into the Israeli army, where he met his wife, Einav. They were married around a year after meeting, and began, together, their return journey to a religious life. Rav Dror studied at the Belz yeshiva, Yeshivat Aish HaTorah, and finally at Yeshivat Chut Shel Chessed, the yeshiva of Rabbi Shalom Arush. Rav Dror remained there for twelve years, and relocated to the Beit Yisroel neighborhood adjacent to the yeshiva. He illustrated and helped to publish the famous children’s books written by Rav Arush. 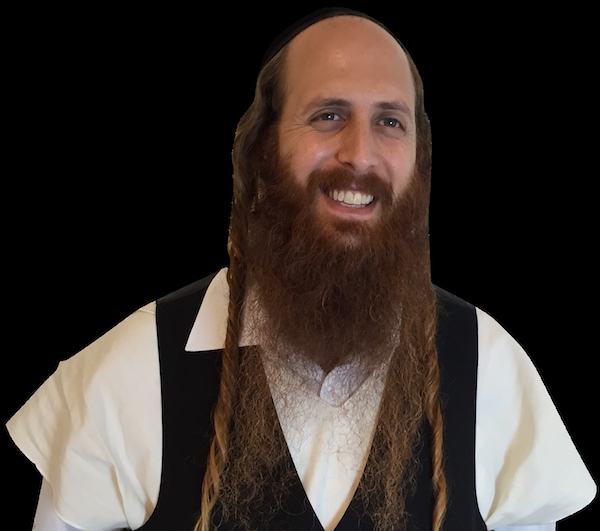 Rav Dror also wrote several books and CD’s for children, and founded an English program at Chut Shel Chessed, which he managed and coordinated for five years. Finally, with Rav Arush’s blessings, Rav Dror founded the Emunah Center in the Rechavia neighborhood of Jerusalem. The Emunah Center, which also has the Emunah Channel website, is an outreach center for Jews all over the world. Whether in Israel at the actual Emunah Center, or via the Emunhachannel.com website, thousands of students enjoy the beautiful and inspiring wisdom that Rav Dror teaches daily. Rav Dror lives in Rechavia, Jerusalem with his wife, Einav, and their five children.